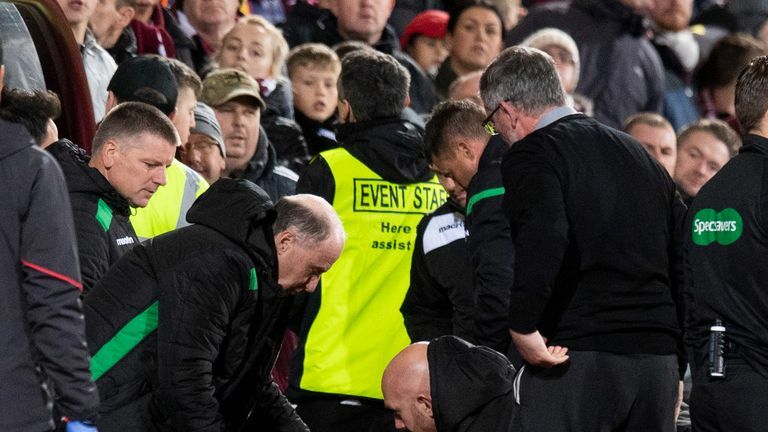 Hearts and Hibernian have said they are "united in their condemnation" following Wednesday night's fractious Edinburgh derby. Police Scotland said five arrests were made following the match, with one made in relation to an alleged assault of the assistant referee during the 0-0 draw. Scottish FA Chief Executive Ian Maxwell also confirmed on Thursday that both assistant referees were hit by objects during the game, understood to be plastic cigarette lighters and coffee cups. The joint statement from Hearts and Hibernian said: "The two clubs are united in their condemnation of the isolated events which marred an otherwise compelling fixture, and will together work with Police Scotland to ensure those individuals concerned are identified and face appropriate sanctions." CEO of Hibernian Leeann Dempster has called on help from supporters to identify those responsible for the "potentially dangerous behaviour". Dempster said: "The two clubs are united. This kind of behaviour is simply not acceptable. We do everything we can to ensure that we run matches in a way that is safe for everyone involved. Players, coaches, supporters, the media, everyone who goes to a football match is entitled to enjoy the match in safety and security. "We will not allow the mindless actions of a few foolish individuals to jeopardise that. We will learn any lessons that we can from this, but we would also call on supporters to play their part in helping us to identify those responsible for this kind of unacceptable and potentially dangerous behaviour. "The two Clubs work together in all kinds of ways, and there is great mutual respect. There is an intense sporting rivalry, and we all enjoy that and would not wish to dilute it, but it needs to be a respectful rivalry." Meanwhile, Ann Budge, owner and chairwoman at Hearts, says while they condemn the behaviour, it would be unfair to criticise the "genuine" fans who came to create a "fantastic atmosphere". She said: "The first thing I want to say is that we 100 per cent condemn the handful of unsavoury incidents that took place during last night's Edinburgh Derby. We will work closely with Police Scotland and Hibernian to identify the individuals involved in these incidents to ensure they are banned from attending our two stadiums and are formally charged. "While we condemn such behaviour, we must not fall into the trap of condemning the thousands of genuine football fans, who come to be entertained and who do nothing more than passionately support their respective teams. 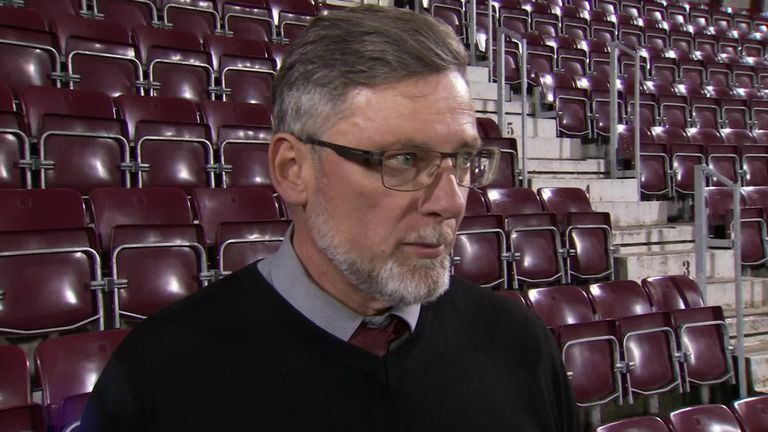 Hearts boss Craig Levein says the incidents on Wednesday night are "unforgivable"
"Of the five arrests made last night, one of them was made possible because fellow supporters identified the culprits. By working together in this manner we will succeed in removing the tiny percentage of fans, whose behaviour spoils things for the majority. "Thank you to the thousands of supporters, from both teams, who created a fantastic atmosphere." 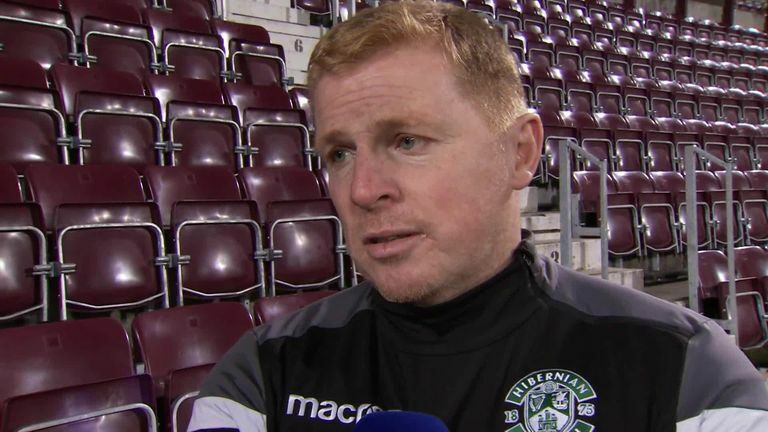 SFA chief Maxwell slammed the "minority of supporters" behind the assaults on Lennon, Zlamal and two match officials. He added: "Knowing the clubs involved as I do, I know no stone will be left unturned - in conjunction with the relevant authorities - to identify the individuals responsible and ensure the relevant steps are taken to leave them in no doubt that such actions will not be tolerated in Scottish football. "I'm sure every supporter with Scottish football at heart will be similarly sickened by the actions of a few that risk tarnishing the reputation of so many. We all have a responsibility to drive these sort of actions out of the game we love."